Canada is in the midst of a crisis. The number of overdoses and deaths caused by opioids, including fentanyl, has risen sharply and continues to rise. The Government of Canada is coordinating a whole-of-government approach that is grounded in compassion, collaboration, and evidence. Drug checking is a harm reduction measure where people have their drugs tested to find out what's in them, including if they contain toxic substances or potent drugs like fentanyl. A study carried out by Johns Hopkins Bloomberg School of Public Health found that when people knew that their drugs contained fentanyl, they were more likely to change their behaviour. 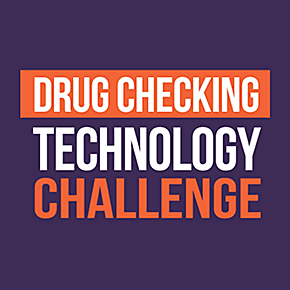 Drug checking technologies come in different forms, with varying levels of reliability, and variable results that may require specialized training to interpret correctly. The challenge has been launched to encourage the creation of a rapid, accurate, easy to use, and low-cost testing device or instrument that can be used with minimal training and preparation work.